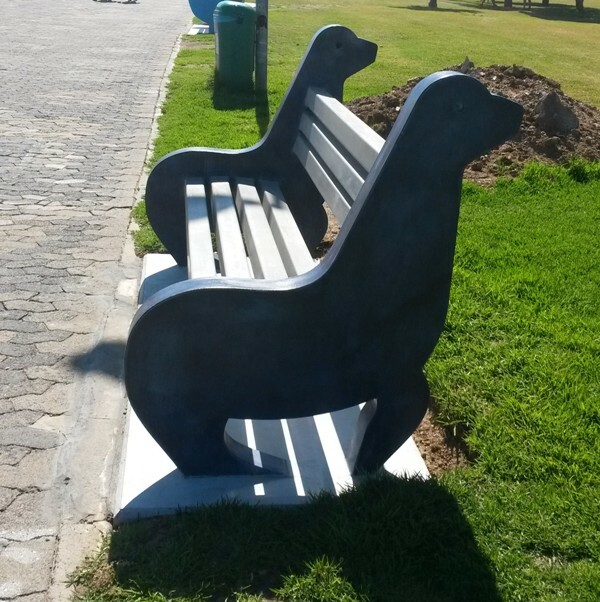 Custom Bench on Seapoint Promenade, Cape Town. 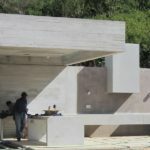 Stonecast was commissioned by artist Greg Benetar and architect Jon Jacobson to undertake the manufacture of 13 specially designed benches for The Sea Point Promenade and The Camps Bay Beachfront. We collaborated on the job and the result is a variety of quirky , fun public seating platforms that transform the urban landscape and encourage public interaction. All these items have been cast in high compaction concrete and coloured with oxides and cold colour to achieve the desired effects. They are heavily reinforced with appropriately sized galvanised re-bar and have been installed permanently. We made use of a variety of moulding materials to achieve the different forms and finishes required, like silicone rubber, steel and fibreglass. Each piece was finished to achieve the desired effect required by the artist and the architect. This project has proved that the interaction between people and interesting works of art facilitates positive dialogue and encourages understanding and consideration between people from all walks of life.